We’ve all gone online to take a personality test, and there are many out there. Most personality tests are based on the Myers-Briggs Personality test, which is an offshoot of Carl Jung’s “Psychological Types” and Katharine Cook Brigg’s research. Briggs developed a typology proposing four temperaments: meditative, spontaneous, executive, and social. After studying Jung extensively, Briggs turned the theory of psychological types to practical use. Briggs daughter, Isabel Briggs Myers, continued her mother’s research, eventually taking over. In 1944, Briggs and Myers published the “Briggs Myers Type Indicator Handbook” believing that a knowledge of personality preferences would help women entering the workforce for the first time during World War II. The indicator would help identify the kind of wartime job that would be most comfortable and effective for women. In 1962, the handbook became the “MBTI Manual”. The MBTI is a questionnaire designed to indicate psychological preferences in how people perceive the world and how they make decisions. These preferences help explain our interests, needs, values, and motivation. The way you approach events, information, people, and the world in general is the focus of the Myers-Briggs Type Indicator. Are you an extrovert or introvert? Do you use logic or do you make decisions based on the people and circumstances? Do you focus on information or do you interpret using your intuition? Do you judge or perceive your options? Openness to experience is your intellectual curiosity – are you inventive and curious or are your more consistent and cautious? If you have high conscientiousness, your friends might think you are stubborn, whereas you are really efficient, organized and dependable. Low conscientiousness is generally seen as unreliable or messy, when you are really easy-going, flexible and spontaneous. Extraversion speaks to your assertiveness or reflective nature. Are you an attention seeker or more reserved and solitary? Agreeableness is compassion vs. detachment. Highly agreeable people can be seen as submissive, naive, or overly friendly whereas low agreeableness is viewed as challenging, suspicious, or competitive. Neuroticism is your confidence or emotional stability. Are you sensitive and nervous or secure and confident? . After determining your responses to those five traits, you will know your personality type. Knowing the different preferences can help you understand yourself and others. No one personality type is better than another and knowing your type helps you understand why you approach situations the way you do. The Myers-Briggs Type Indicator has inspired many personality tests as we have a strong need to understand ourselves and help us make decisions. MBTIonline.com offers another assessment designed to help you better understand how you relate to others and how you can benefit from this knowledge in everyday life. At PsychCentral.com, you can take a test based on Jung’s personality theory. The results will include a description of which category you belong to of the 16 personality types found in the Myers-Briggs Type Indicator. My Personality Test is another free personality test based on Carl Jung’s and Myer-Briggs’ research. It will help you learn about your strengths and discover how you can achieve fulfillment in your professional and romantic life. 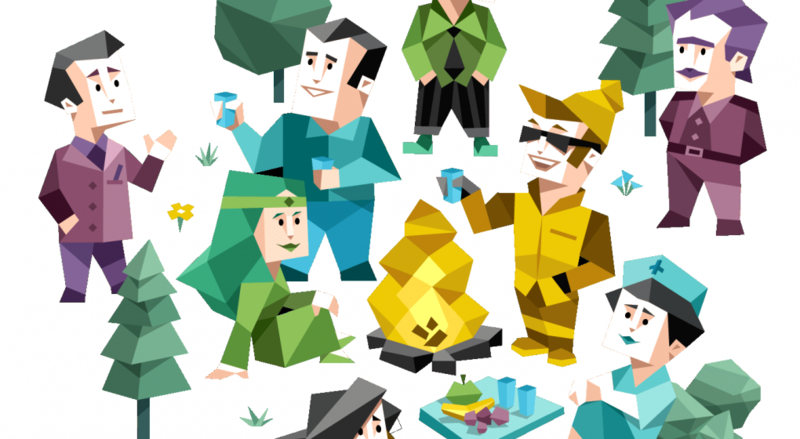 16personalities.com incorporates updated advances in psychometric research to help you understand others and build meaningful connections. Get an accurate description of who you are and why you do the things the way you do. To understand your communication and learning styles, try this Personality Test. Also based on Jung’s theory and the Myers-Briggs personality types, you can learn the strengths of your preferences and the description of your personality type. This test even shows you the famous people who share your type. Personality Perfect offers another version of the Myer-Briggs test to help you discover what really drives you. Based on your personality type, this site provides personality hacks to help you approach life more harmoniously. This psychology test measures what many psychologists consider to be the five fundamental dimensions of personality. With this version, you can not only learn about your personality type, you can compare yourself to someone you know and get an even deeper understanding of you. Taking personality quizzes can be a fun way to help us find empathy for others as we learn how we approach life and how differently people approach the world. Any insight into ourselves that helps us connect to the world in a more compassionate way is a worthwhile use of our time. What is a palanca letter and how do you write one? Palanca is the spanish word for lever or influence. A palanca letter is written to lift up, support, and encourage a friend or family member. 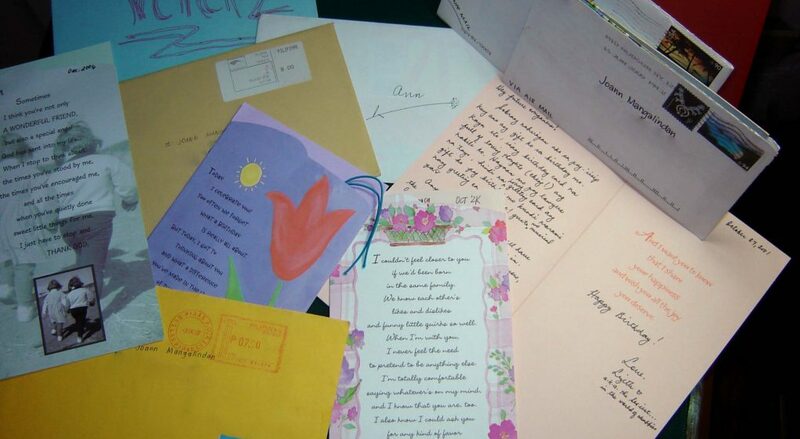 Usually given while on a religious retreat or mission, palanca letters can also be sent to someone in prison. Whoever the recipient, they are incredibly emotional and uplifting for both the recipient and writer. 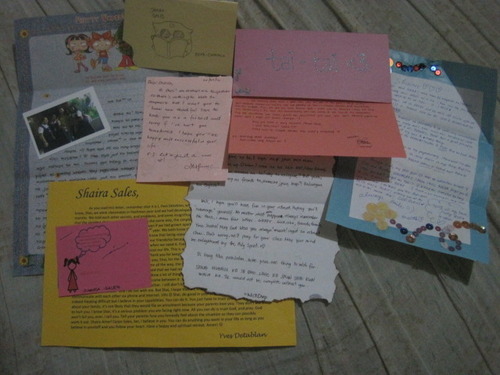 Palanca letters are not terribly lengthy and are always spiritually uplifting. Palanca letters are written by one person to another and the writer does not always know the recipient. You would never write a palanca letter to a group, even if they are on the same retreat. Your palanca letter can be addressed to the individual by name or it could be addressed according to the specific event. 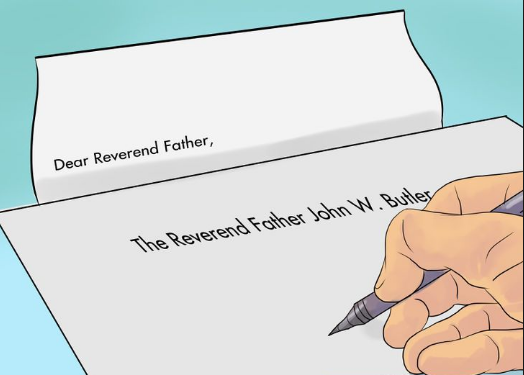 If you are writing a palanca letter to a fellow parishioner who is on a retreat, you can address your letter “Dear Christian Brother”. The writer never signs his full name, nor does he/she give an address or way of contact. Palanca letters can be written to anyone in need of encouragement or spiritual lifting. A parishioner on a religious retreat could receive a palanca from fellow parishioners offering prayers and encouragement for a blessed journey. You could write a palanca to someone in prison as a way of lifting them up in the spirit of the Lord. Most letters include reassurances of God’s love and offers of prayers from the writer. Generally religious, a palanca is spiritual in nature. Many recipients hold onto their palanca letters forever, referring back to them in times of discouragement or anxiety. Even though you are writing to a person today supporting your recipient’s current journey, your words may be as important or even more so at future points in their life. While writing the letter, you should keep in mind how impactful and helpful your words can be to someone at a low point in their life. A palanca letter can include a small, inexpensive gift. It is not a requirement to include a gift, however you could include a bible verse bookmark, or prayer card with your letter. An expensive gift would be inappropriate to include in your letter. More appropriate gifts would be to pray or say a rosary for the recipient or make a sacrifice in their honor, like giving up sweets or read a particular bible verse. Your goal in sending a palanca letter is to remind the recipient that God’s love for him/her is so great, a stranger has been moved to express that to him/her. You want to comfort and lift the spirits of the recipient. Life’s journey can be scary, and simple efforts like an encouraging letter from anyone, can have an enormous, positive effect on someone’s life. We’ve all searched for an eatery and come across both restaurants and cafes. But what really is the difference between the two? Depending on the meal you’re looking to consume and the environment you want to consume it in, you may want to narrow your query. If you were looking for a light meal or snack, just a cup of coffee, or a bowl of soup, you would most likely be looking for a cafe. If you want to settle into a more formal meal with waitered service, you should seek a restaurant. Cafes offer a casual atmosphere to enjoy a beverage and small meal. The word cafe is French for coffee and cafes are mainly just that – coffeehouses. While most American cafes serve coffee, bakery snacks like muffins, bagels, and cakes, the concept has expanded to eateries offering a variety of beverages and small meals. At a cafe, you can get breakfast, lunch, a light dinner, or a quick snack. Cafes generally do not offer waitered service. Menu items are found on a board above the register or in actual display cases under it. Orders are placed at a counter, paid for at a register, and bagged for you to choose dining in or taking out. Many food items at a cafe are prepared and pre-packaged for self-service by the customer or quick delivery to the customer. Cafes generally offer open seating and encourage customers to relax with a newspaper or laptop or meet up with friends for engaging chatter. Dining at a cafe can be in a booth, at a small table with chairs, or even a bar with benches, stools or just standing room to eat and run. Many cafes have outdoor seating that may even include oversized, patio game boards like chess. Some cafe have couches and lounge chairs for extra comfort when enjoying your coffee and snack. One of the big perks of the modern cafe is they are computer-accessible, meaning they offer wi-fi and charging stations for your personal electronics. A restaurant, on the other hand, has a more formal environment, generally with waitered service, designed around an entire meal, like dinner. Restaurants generally cook your food to order. Restaurants can vary in price, service, and atmosphere. There are fast-food restaurants with a similar environment and payment process to cafes, but offer full meals, prepared to order that commonly comes in a bag or on a tray. These restaurants are inexpensive, quick, and can be eaten inside or taken out. You can even order from your car at many of these types of restaurants. There are also restaurants considered “fine dining”. These establishments provide top notch service and ambiance, and food prepared by some of the world’s top chefs. Meals can be one course, or a full five course feast – all of them high-end and exquisite. 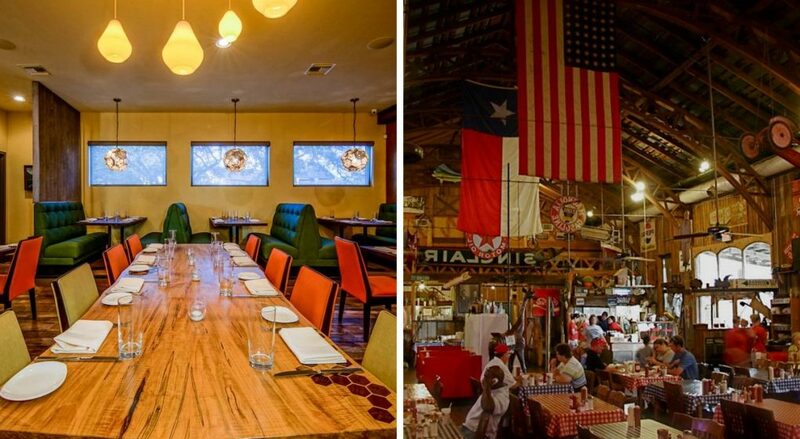 At these restaurants, you sit at an assigned table with a menu of food and beverage options. Serving items from their regular menu, you’ll usually also find an extra assortment of daily specials, fresh items the chef is excited to prepare. You place your order with a waiter/waitress, who brings the order to your table after it is prepared in the kitchen. Payment, with a tip for your server, is expected after you have finished your meal. Somewhere between fast food restaurants and fine dining establishments, there are hundreds of low, mid, and high end eatries. Chain restaurants, like Olive Garden, Applebee’s, and Buffalo Wild Wings fall into this middle ground, as do many of your local town eateries. Differing from fine dining, at chain restaurants, the menu rarely changes and there are usually dining deals, making them an affordable, convenient, comfortable restaurant option. Your local restaurants are similarly run – a stable menu with fresh chef’s specials for busy nights. While both restaurants and cafes do serve many of the same types of foods and beverages, one big distinction between the two is you generally do not find alcoholic beverages at a cafe. Most cafes focus on coffees, sodas, and other non-alcoholic beverages. There are some cafes that serve beer and wine, but if you’re looking to grab an adult beverage with your meal, you will find more eating options searching for a restaurant. Both restaurants and cafes have their benefits. Depending on your personal and dining needs, you may visit each in the same day. Palanca letters gives support in the form of guidance, prayer and/or honest communication. Below we have a list of some samples of palanca letters that could be for sons, daughters and nephew. I cannot begin to express how proud I am of you. Every time I see you put others before you, my pride and love for you grows. Just when I think I cannot love you any more than I already do, you show me another side of you – your positive spirit, compassionate heart, and creative mind. You have more confidence and intelligence than I had at your age, or even at my age. I hope you enter every one of life’s journeys, large or small, with confidence and wisdom – choosing your battles with caution and empathy. I wish you the strength to face challenges head on and without fear. Your heart is big and its voice will guide you at every turn. God couldn’t have given me a better son. Always know how much you are loved. Wherever you go, you are in my heart and in my mind I am hugging and loving you unconditionally. I am jealous of the world that I have to share you and can’t keep you to myself. You are a gift to all – so lovely, kind, and thoughtful – and yet I want to hold you and keep you as mine alone. Your compassion for others is so beautiful it has at times brought me to tears. My pride for you knows no limits, as you constantly surprise me with your commitment. When you are engaged, your focus is enviable. You bring joy and love to your mother and I when report cards come home, when you assist your soccer team, and every time you just smile. I want you to know I am always here to help you with any issue, large or small. Whether you need help with homework, a shoulder to cry on, or a sounding board for problems. I will never turn my back on you, and no problem is too big, and no pain too deep for us to conquer. I love you to the moon and back a hundred times. Life has so many ups and downs, and you will find yourself in so many different situations. Some of them will amaze you and some of them will depress you. I wish I could promise you a life free of pain, disappointment, and anxiety, but I cannot. Even with suffering and tragedy, life can be fulfilling and you can and will find love and joy. You have already shown your resilience and compassion and I couldn’t be more proud of you. I hope you continue on the righteous path of joy and acceptance. No matter what God throws at you, you will rise up and find peace and happiness. Keep your heart open to love and you will find yourself respected and cherished. If you are always true to your heart, you will never feel regret or guilt. I see your strength already at your young age. You are your own unique young man and it is my wish that you stay this way. Never let others tell you how to be or whom to love. If you live the life others expect of you, you will find yourself in a place you will not like. Keep your faith in your heart and God will guide you through life. I am proud of the man you are becoming, and will always have an open heart and ear for any problem, adventure, or advice you need. I love you and care about your personal and spiritual journey. 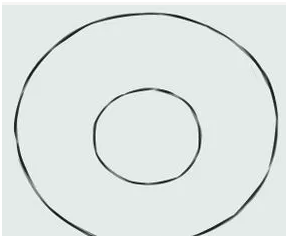 Step #5: Draw some slanted lines, in a crisscrossed manner, in the center of the inner circle. The lines should cross each other out. 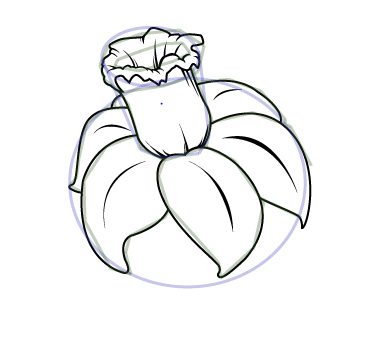 Step #6: Refine the details of the stem and leaves by giving some shades and adding lines to them. 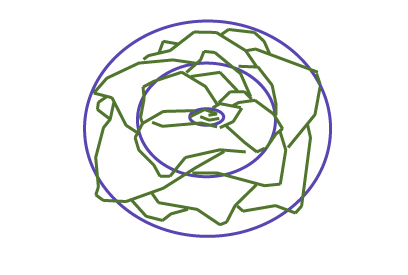 Step #1: to draw a rose flower with a stem, simply draw three curved lines as shown in the picture below. 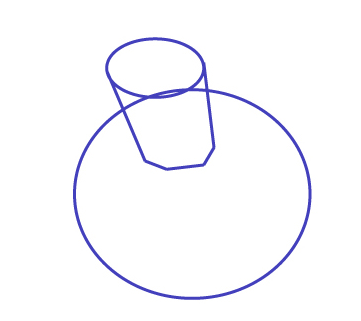 Make sure the curved line below the upper one is slightly bigger, while the bottom curved line should be the largest. 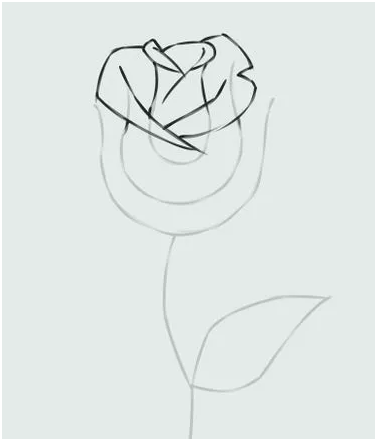 Step #3: Create your rose by sketching a rough outline of it, before you start drawing the petals. 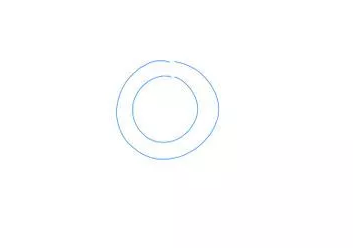 You can make use of the “U” shape sketch first. 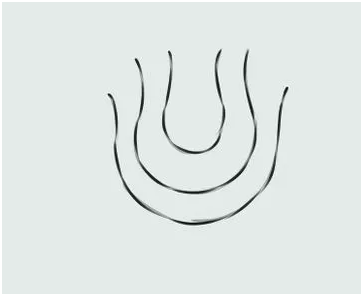 Step #6: Allow the sketches of petal on the first two “U” to guide you when drawing the petals on the last “U”. 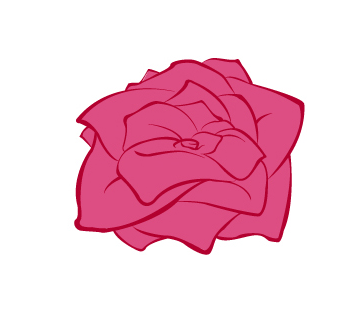 If you want a more appealing rose picture, you can add more petals. 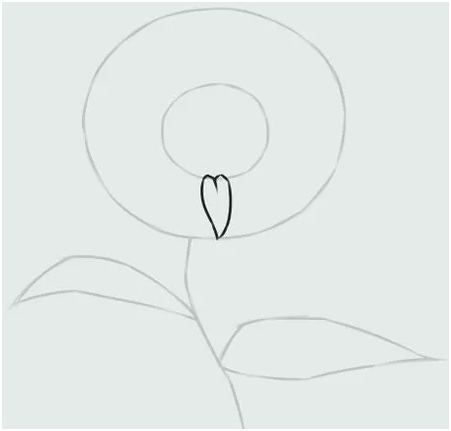 Step #7: With the aid of pointed angles, you can simply add the sepals to your drawing. 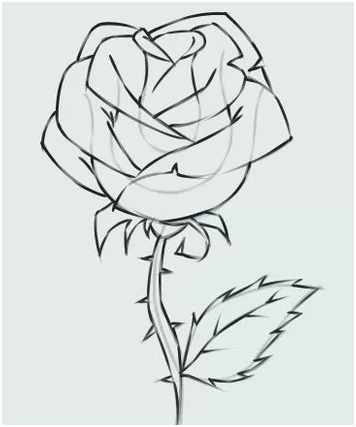 Step #8: Add some thorns on the stem , if the flower has thorns. 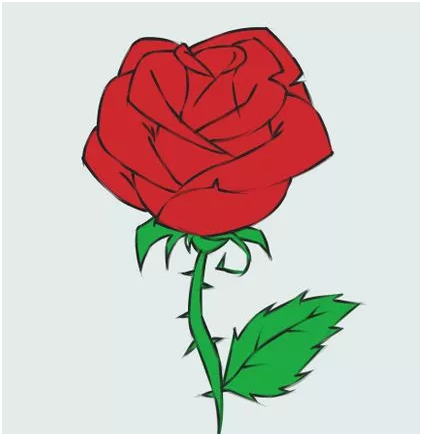 You should keep in mind that thorns are best drawn with the aid of pointed angles. Make sure you add the details to the leaf of the leaf of the rose and make sure you don’t forget about the serrated margin. 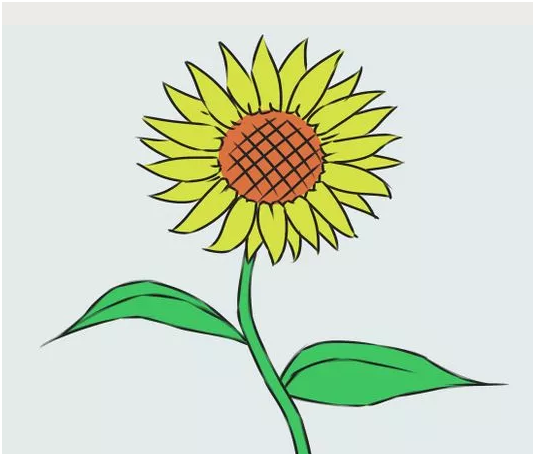 Step #9: add some colour to your drawing, remember, the petal can be red, pink or something much brighter while the stem and thorns should be green or brown. 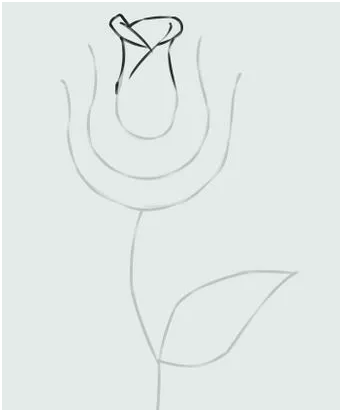 Drawing a rose flower without a step can also be interesting just like the drawings above. You can follow these simple steps to achieve this. 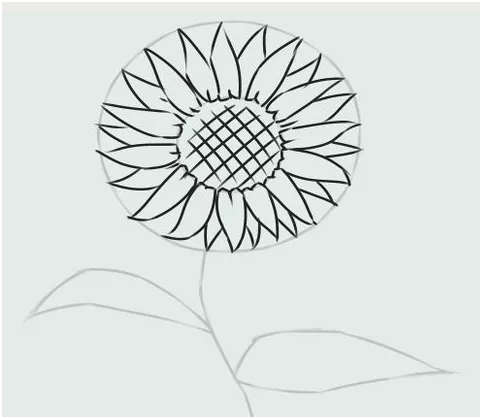 Step #1: start with the interior border of the flower by simply drawing a circle. 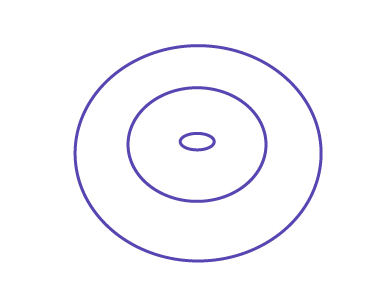 You need to add two extra circles in order to form the outer border of your power petals. Step #2: you should add some rough structures to create a base for your petal- this may be hard for some people but it should work out fine. 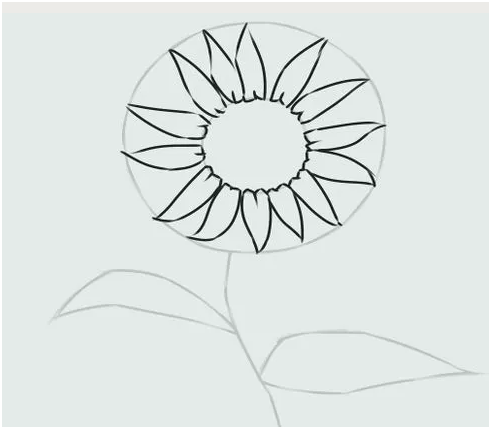 Step #4: add some colours to your petals and then add some shadows before placing the definition lines. 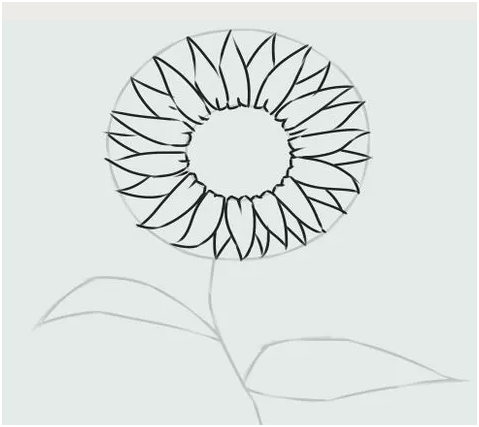 Step #1: Start the flower leaves by simply drawing an oval, to create the outer edge for your flower leaves. 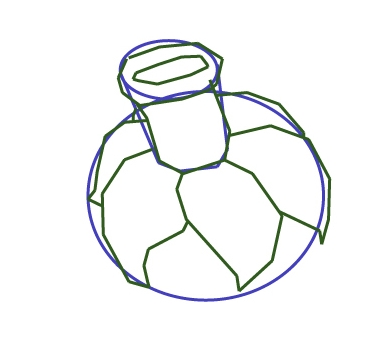 Step #2: Create another but smaller over figure that connects at the top, through the parallel lines. This will create the top of your flower. 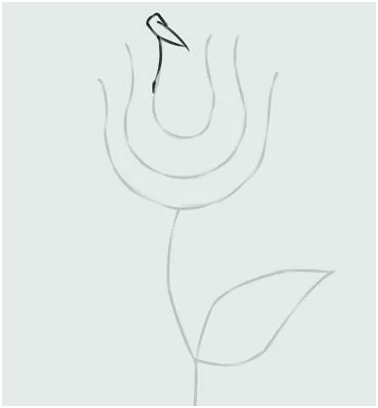 Step #4: add the final lines for your flower and leaves and add the appropriate colours as shown below. Take note, you can also put some definition lines as well as the shadows to your flower. Drawing a Cosmos flower can also be exciting, and the beginning is similar to other flowers explained above. 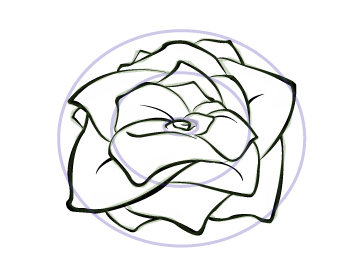 Step #2: Sketch your petals all around the outer bigger circle, and make sure the petals are of the same shapes and sizes. 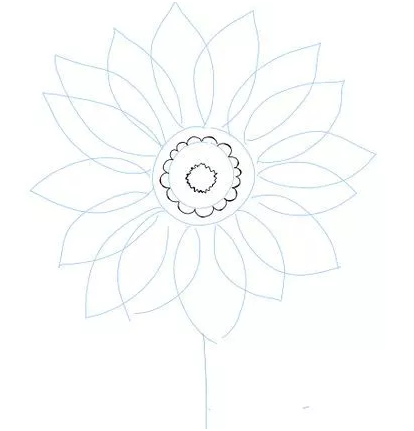 Step #3: Create the flower stalk by sketching a thin straight line below and then go back to the semi inner circle and draw some smaller semi circles. This will help create a flower-like structure. 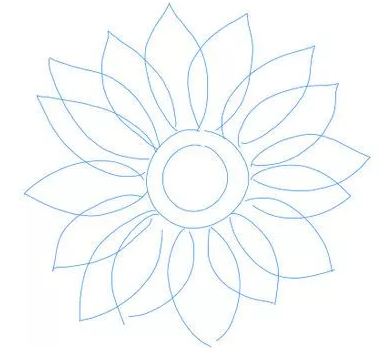 Drawing a flower should not be a difficult thing, most flowers will start with two circles, and you can gradually build other components such as the stalk, leaves and petals on the outer circle. 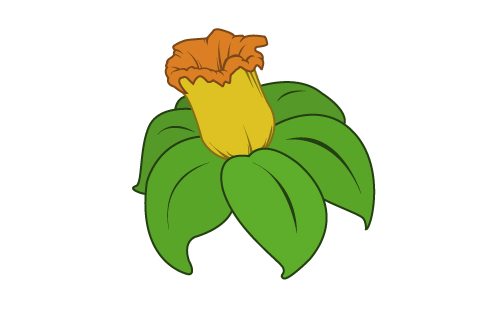 In the case of a Tulip flower, a single circle with a long and slightly curved stalk is the perfect way to start before adding the leaves and flowers. 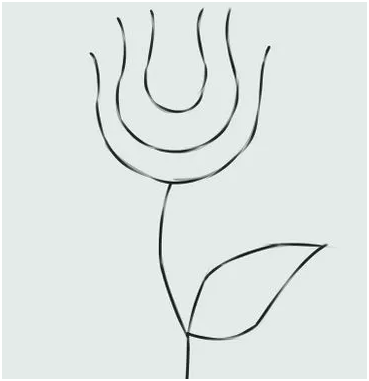 Tulips do have long flowering structures, hence you will need to draw several lines when you are creating this flower. 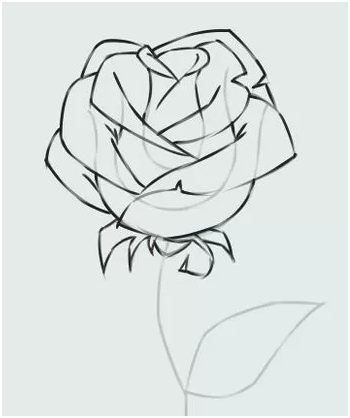 Drawing a flower is fun, there are so many kinds of flowers you can practice with, but make sure you have a view of the outer part first for drawing the inner parts. Addressing a letter is different from the way you address an envelope. To address an envelope for instance, you need to ensure that the address is centrally located at the back of the envelope and you must clearly write the names of the recipient, as well as the address or final destination, this should include the proper codes, in order to ensure that the letter is delivered to the appropriate address. The world has changed and people prefer to write and send emails rather than send letters, however, letters will still remain relevant for a very long time to come whether we like it or not and we must address them accordingly. Your handwriting may be superb, but you need to know when to use a formal or informal address on letters. There are different addressing style needed for different purposes, the one you use when inviting people to a party should be different from writing formal business letters or a cover letter for a job CV. Below are some of the tips that will help you streamline your address on letters and according to the situation for which the letters are intended for. The first thing you should keep in mind is the person you are writing to as well as the occasion- these two factors should determine how the letter is addressed. when writing informal letter to a friend or family member who is close to you, you should make use of a personalized greeting when addressing the recipient. Having a closer relationship with the letter’s recipient will give you the opportunity to be less formal. This also means you salutation should establish a connection between you and the recipient. For instance you can start the address by writing “DEAR AMANDA”. In some cases you can simply skip the title and address the person by their nicknames or first names. if you are sending a business letter or a letter that requires some formal communication such as invitations to wedding, then you need a formal address format. You need to understand that a formal correspondent with someone you are not really close to will require a formal address format. Make sure you use business contact information on the address section when writing a business format. A typical business letter format should have four sections at the address. On the left corner of the letter, make sure you write your address (the sender), along with your contact information as well as the date. The address should also have a salutation. Take note, if your formal letter, is not business related, you don’t have to include all the sections of the address, but a formal salutation is still important. In most formal settings, your address should be on the left while the recipient’s address should be located on the right corner at the top. Make use of the right titles when you are addressing recipients, especially within a formal letter. For instance; instead of writing “Amanda Lee” which is common in informal letters, you should write “Mrs. Amanda Lee”. If you are writing a formal letter to a married couple, you must address them according to their status. For instance, you must address a couple as “Mr. and Mrs.”, then followed by the man’s name (not the woman’s name). When you are addressing an entire family, make sure you use the family’s last name and that should precede the word “The”. For instance you can write “The Morgans”. when writing a formal letter to someone occupying a position (a lecturer, clergy, and politician, for instance), you need to ensure that you make use of the appropriate titles. For instance “Dr. Amanda Lee’ or “The Reverend Peterson Munroe”. when you are addressing a letter with no contact, you don’t have to be too formal. You can start an address with the salutation “Dear Hiring Resource Manager” or “To Whom It May Concern”. These salutations cannot be regarded as completely informal and at the same time they can still be formal enough when addressing people with no address given. The most important thing to consider before addressing a letter is to consider the relationship between you and the recipient. When writing a letter to someone you are totally unfamiliar with, it is better to write a formal letter, especially when you are considering a favour from the person .It is also important that you make use of all formal components, including salutation and address, when addressing such an unfamiliar person. There are some cases where you still have to write a formal letter even if you are familiar with a person; for instance your father , uncle or aunt deserve respect from you. The return address must be written clearly on the upper left corner of your envelope, alternatively the return address can be placed on the back flap of your envelope. The return address is your address or the sender’s address, or you may want the letter return to another address, hence, you must put that return address. Make sure the final lines of the sender’s address contains the street, country, region as well as the zip code. The recipient’s address must be clearly written on the front of the envelope, especially in the center and making use of the correct title and salutation format (as written in the letter). 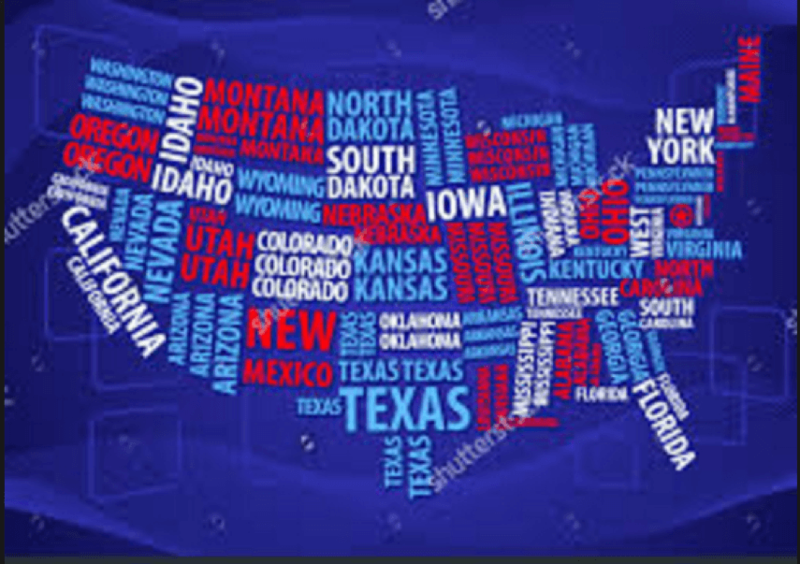 The first line should contain he recipient’s title and name, while the second line should contain the recipient’s street address, and the last line should contain the zip code, city and state codes. Make sure the right type of stamp is used when sending the letter, this will ensure that it reaches its destination on time. The use of inappropriate stamp may mean the letter will be sent back to the sender. There are many factors that can determine how many stamps you require, especially when posting letters within a country or internationally. In most cases, the size and weight of your letter as well as the distance, will determine how many stamps you need. Sometimes, the class of the postage service may also determine how many stamps you need. First class postage services require more expensive stamps, likewise, if you need an overnight delivery of your letter, you may also require more stamps than ordinary postage services. Some post offices around the world will give you online calculator to calculate how much stamps you need to send a letter. Priority mail express is usually the most expensive type of postal services rendered by most private mail operators as well as public postal services. The speed of this postal service is around 24-48 hours or between 1 and 2 days, and prices of stamps start from $21, and services include free tracking. If you are buying stamps, you will have to buy stamps with higher denomination( such as $5 and upwards), this means you will need between four and five stamps here, buying stamps with lower denomination may mean, you will need around ten stamps if not more. The first Class Mail Letter is one of the cheapest postal services rendered, and in this case, you may need fewer stamps. With prices starting from $0.46, and services usually takes between 24-72 hours, you may need a single stamp or two for this service. You need to note that weight and shape restrictions are usually impose on cheaper postal services such as First Class Mail Letter, hence, prices may increase as shapes and weight get larger. Secondly, if you want your mail to be certified, prices may start from $3.3 and that means you may need more than 6 stamps if you are buying in lower denominations of $0.50. The First Class Mail may provide low cost opportunity, but they are only ideal for lightweight posts, pricing of this service is normally not affected by distance, and no extra charges are levied on home deliveries. It must be noted that the maximum weight allowed for this service is 13oz. You can also make use of the online postage stamp calculator to determine how much stamps you will need to post your letter or package. The stamp number calculator online is usually used by those who have stamps already. Once you get to the website, the first information you must provide is; what type of stamps you have, then you need to put your postage due- this is usually how much your stamps are worth in dollars. Once you have input the postage due, simply click on “calculate” option beside the postage due box and the total number of stamps needed will be displayed. For instance if you are using Priority Mail service which is a large flat rate box that costs $18.65, you will need a total of 39 stamps that cost $0.49c. This is the simple way through which you can make use of stamp calculator online. 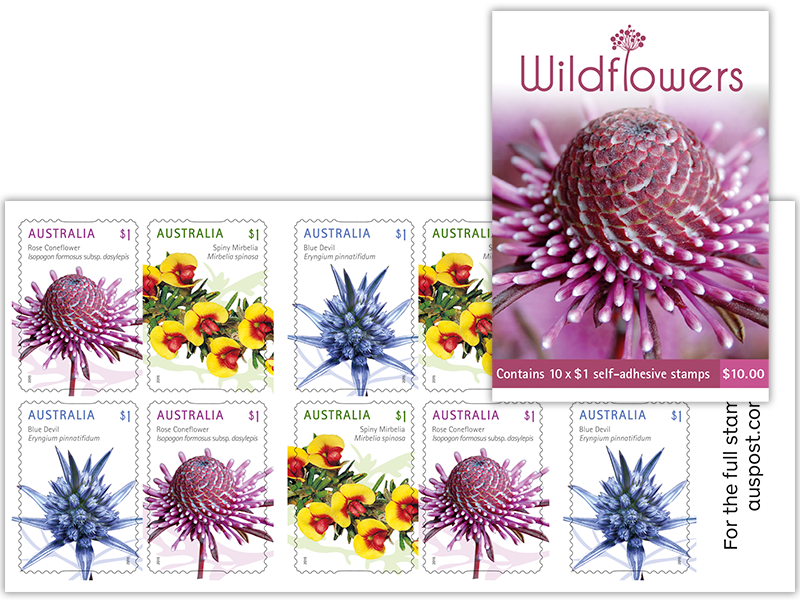 For a simple postcard that costs just $0.34, you need just a single stamp, however, this will cost a total of $0.49c, considering the fact that there are no stamps less than this amount. Most postal services around the world are eliminating the surcharges, in addition to this, prices on some extra charges, including COD, registered mails, and certified mails, are being reduced. As mentioned above, the cost of the cheapest mail may be around $0.47 and $0.49 for the regular square or rectangular standard sized envelopes, over-sized and irregular shaped or square shaped envelopes may cost around $0.68. For postcard stamps, the costs of regular and standard sized rectangular envelopes may start from $0.34, prices may however jump to around $1.15 especially for irregular, and larger squares and rectangular shaped envelopes, and that means you will require more stamps. It should be noted that oversized and unusually shaped envelopes are the most contributors to price fluctuations especially on regular mails. Thickness, size and weight of the envelope are the secondary contributors to the prices and number of stamps needed for post letters and packages. It should be noted that postal rates can be significantly lowered when your letter or package is machine –sortable, and readable. When your letter is machine sortable, you can save as much as 0.08 and 0.10 cents on total costs of postage. The type of stamps you already have may not contribute to the total costs of stamps but will definitely contribute to the total number of stamps you want to use. Forever stamps, for example are quite common in the United States and they are now being sold at Post office across the country. Regardless of increases in postal costs, certain types of stamps, such as forever stamps will still cover you because of the larger denomination on the stamps. If you are sending heavier packages, you need to ensure that you get stamps that are designed in higher denominators (for instance; $0.49 and above, are ideal). Using lower denominators of stamps means you have to use more stamps, however , when you need to write long addresses on your envelop , then you may not have enough space to place too many stamps, for this reason, it is better to use stamps of higher denominators or prices. Alternatively, you may want to use larger envelopes just in case you want to use several stamps that may not work on smaller envelopes. Getting the right envelopes is as important as using the right types of envelop, though, the value of stamps rarely change , hence it its ideal to collect as many stamps , even whe you don’t really need them for now. Most young ones of nowadays don’t know how to fill out a check , there are lots of adults who are also caught up with rapidly changing times and seem to have lost touch with stuffs like checks. Checks seem to have become lost arts, and writing personal checks that used to make even minor transactions feel official, seem to be useless nowadays. Checks are very beautiful, the handwritings of the issuer, even writing the issuer’s personal names as well as the amount to be paid and signing the check at the bottom right corner, makes the whole check looks more personal and special. Since newer and more convenient payment ways have evolved in recent times, payments through checks has dropped by as much as 50% from the year 2000 to 2015 when the use of electronic card payment systems flourished. According to a GOBankinRates poll conducted in 2016, roughly 38% of the 1,500 Americans interviewed admitted they had left the checkbooks unused. Ironically, it was discovered online that the search for ‘How to fill out a check” on Google increased more than five times- this was according to an article published in Washington post. Mobile apps seems to do the same job faster and better. The increasing use of smartphone apps such as Google wallet, and Apple pay seems to make it easier for people to transfer money from one account to another. In the first quarter of 2015, smartphone app- Venmo recorded a quarterly profit of about $1 billion, in peer-to-peer payments online, and according to a research, Venmo will record a profit of about $86 billion, in the next three years. Retails seems to accept tech in place of checks. Checks are being replaced at point of sale by mobile tech device such as smart debit and credit cards. Most online retails as well as physical groceries stores do prefer customers to pay with their electronic cards instead of checks, because checks take much longer to process. Online financial transactions are offering incentives for electronic payments- One of the reasons why people are being lured into using checks alternatives is because they want to save the environment. A lot of trees are fell, and converted into papers used in making checks, but with electronic check versions such as “e-checking” and “green-checking”, many brick and mortar checking centers are being closed down for electronic checking systems. Most banks also offer zero fees for all transactions that are performed with the use of e-checking or e-payment systems. Most people believe that checks will eventually die of naturally considering the fact that 60% of young ones within ages 18 and 25 have never held checks, however, more than 75% of adults who have attained age 55 and above still make use of traditional paper checks for their daily transactions. Many people will argue that paper checks are still vulnerable to a number of security problems, for instance, a checkbook can be lost, hence someone can pick it up and forge signatures and names, and defrauding the original owner of a huge amount of money. Step #1: Write the date you are filling out the check on the top right corner of the check. You must write the date according to the format printed on the check, for instance; the date, month, and year formats must be followed accordingly. You may also write out the date with full names (for instance 13th of June, 2017), when using numbers, make sure the format printed on the check is followed (for instance 1/31/2017). Step #2: Enter the name of the recipient. There is a line labelled “Pay to the order of”. You need to put the names of the recipient in this column, make sure you write his or her full names, that is the first and the last names. You may also put the names of the group or company you are paying here. Make sure the correct spellings are used. Step #3: Enter the amount you are paying. This column is usually located to the right of the check and comes with a dollar ($) sign. Do not round up or make an estimate of the amount, simply write the actual amount. A check of $154.77 should not be rounded up to 155$. Step #4: repeat writing the dollar amount but in this situation, write it out in words. For instance, you should write $154.77 as one hundred and fifty four dollars, seventy-seven cent. You need to take not of the fact that spaces in-between the words are optional except when they are specified. If you have enough space at the end of the filling, you must draw a line there to prevent anyone else from adding extra figure. Step #5: Fill out the memo area- though this may be optional in most cases, this is located at the bottom left and it allows you to put what the payment is meant for. For instance “For school fees” or “monthly rent”. Step #6: Sign the check. You need to note that your check remains invalid until you sign your name. The signature box is located at the bottom right corner. Similarly, you need to sign the back of your check and write your name and the name of the recipient. Oftentimes there is a single format for making Google your homepage, however, it may also depend on your browser as well as your computer’s operating system. Once you have opened your browser, it should automatically get you to the designated homepage and if Google has not been set as your Homepage already, you will have to set it. Most of us will prefer Google as our home pages because we navigate through the web with the help of Google search engines. For this reason, you should consider cutting out the “middleman” and make Google your homepage immediately. Here are the simple steps you can take in order to make Google your Home page, especially for the top three browsers- Google Chrome, Firefox Mozilla, and Internet explorer. In order to make Google your homepage on Mozilla Firefox, simply open the web browser and then click on the “Preference menu”, located on the top bar, and then click on the “General” settings tab. From here you will find the option to set Firefox to open immediately your computer starts or boots up, simply set this option and you will be asked to put the Home page URL inside the Firefox startup. You can simply type www.google.co.uk or google.com depending on your preference. Setting the URL with Google will automatically navigate the web browser to Google home page, when you open a new tab or a new web browser. Once this set up is completely, simply click “ok” and close the setting tab. To make Google your home page on Internet explorer web browser, you should follow similar path as described for Mozilla Firefox Mozilla above. Simply open the Internet explorer and then open the ‘tools’ menu, this can be found by simply clicking on the gear icon located on the right corner of the Internet explorer web page. From the tools page, simply scroll down to the “Internet options”, and you will notice that the first option on the menu is the “general tab”, there is a box located on the general tab, simply type the Google URL inside the box labelled for Homepage. Once the URL has been typed, simply click on “Apply”. The next step is to scroll down to the “Tabs” section, and then click on “Settings”. You need to find the right setting as your scroll down – it is usually located half-way down. From the drop down menu you see, simply choose your “first home page” which is Google URL. Once this is done, simply click on “OK”, and then click “OK” on the next menu, then the Google homepage should be automatically available as your home page. To make Google your homepage on Google chrome web browser, you need to know that the browser is designed by Google, hence it should be a lot easier. The homepage and side bar of Google chrome are Google-based, by default. For this reason, you don’t have to change anything, however, for certain reasons, your default home page may not be Google and it will change to something else. You can reset the home page to Google by simply going to the “Options menu” located at the right corner at the top of the browser. Click on the “Settings” option from the options menu and then scroll to the start-up options, and by default, you will be taken to another tab and that should be the page with Google search bar. On this page, you will see different boxes of the top websites you have been visiting. 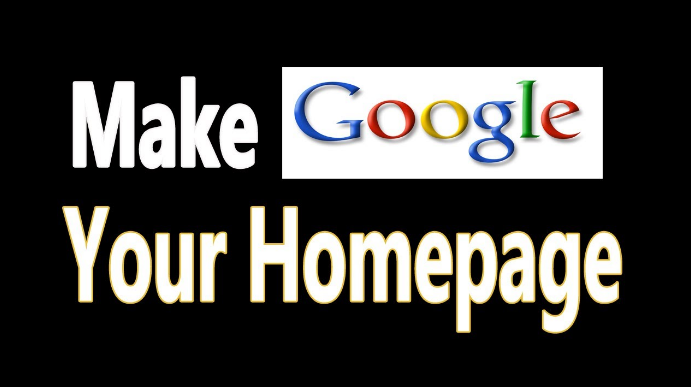 If another website has been automatically placed as your Homepage, you can simply change it back to Google. For new web browsers such as Safari, you can perform a number of tricks to set Google as your home page. The first trick is to simply open the web browser and then click on the “Preference menu”, located on the top bar, and then click on the “General” settings tab. From here you will find the option to set Safari to open immediately your computer starts or boots up, simply set this option and you will be asked to put the Home page URL inside the Safari startup. You can simply type www.google.co.uk or google.com depending on your preference. Setting the URL with Google will automatically navigate the web browser to Google home page, when you open a new tab or a new web browser. Once this set up is completely, simply click “ok” and close the setting tab. Alternatively, some new web browsers may require something similar to Internet explorer, in order to change the default home page to Google. Simply follow these simples steps; Open the browser and then open the ‘tools’ menu, this can be found by simply clicking on the gear icon located on the right corner of the web browser page. From the tools page, simply scroll down to the “Internet options”, and you will notice that the first option on the menu is the “general tab”, there is a box located on the general tab, simply type the Google URL inside the box labelled for Homepage. Once the URL has been typed, simply click on “Apply”. If you are making use of new operating systems such as Windows 10, making Google your home page may become slightly complicated, however, you may have to download a web browser that is compatible with your operating systems. Windows 10 by default will make use of Internet explorer as its main web browser, in this case, the latest internet explorer may complicate issues but follow the simple steps highlighted for Internet explorer and Google will be set as the Home page. What is a Word map or Word cloud? World maps are created to form distinctive categories of countries across the word, this means there must be a problem of projection or a representation of a unique identity across different countries of the world. With a world map is easier to identify a country with a common information being passed across. The world map can be used to show a distortion on the earth surface, hence it can be used in reflecting some diverse technical goals on the map. Word maps often focus on specific features such as Political components, you may need a global knowledge to construct an ideal world map, and when political elements are being used in constructing a world map, territorial boundaries and human settlements must be distinctively classified. For instance, when you highlight physical world maps, you must show the distinctive rock types, soil types, underlying rock fault lines, and sub-surface structures. One can conclude that World cloud or world map is mainly designed to categorized countries on the world based on a geographical, political or other patterns. 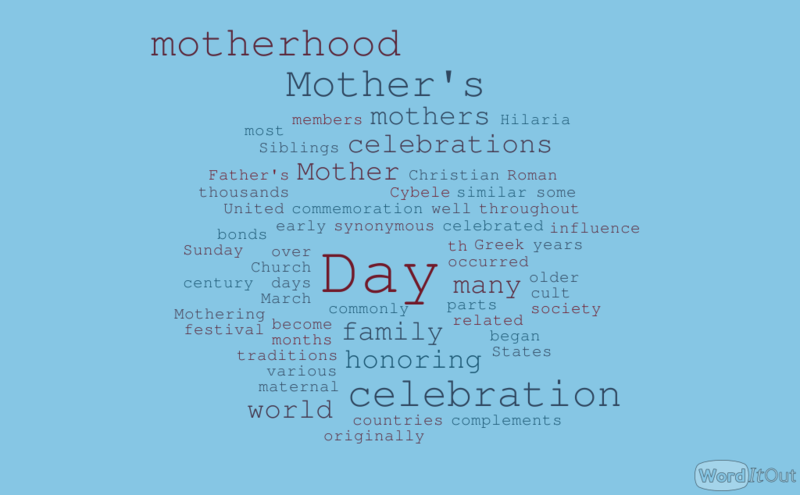 Are word cloud , word shapes, word splash and word collage the same? Want to Make Your Own Word Map or Word Cloud Software Program? 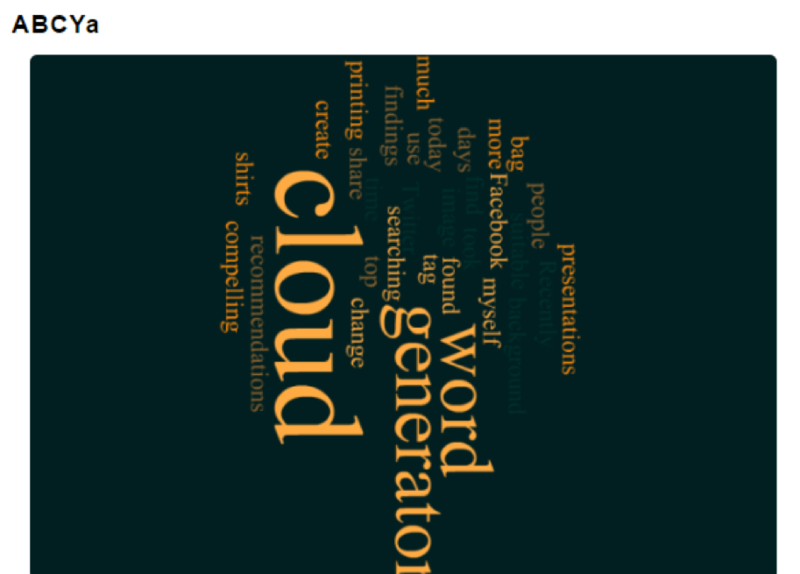 A word cloud generator is expected to be simple and effective enough even for beginners to start using it immediately. Slow learners must be able to use the user interface of the word cloud template easily, and they should be able to make corrections accordingly. Wordle word cloud is one of the most popular and most sophisticated word cloud tool you can consider, and what makes it even more popular is the fact that it is free. 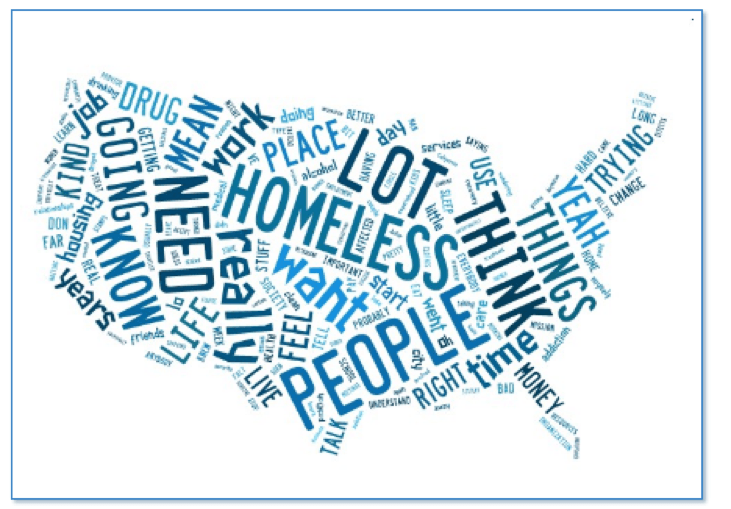 This word cloud tool can be used effectively as a visual learning program. It can be customized according to your preferred colour, font, alignment, style and many other features. There seems to be no limit to the number of categories for which you can change the outlook of your word cloud projects here. 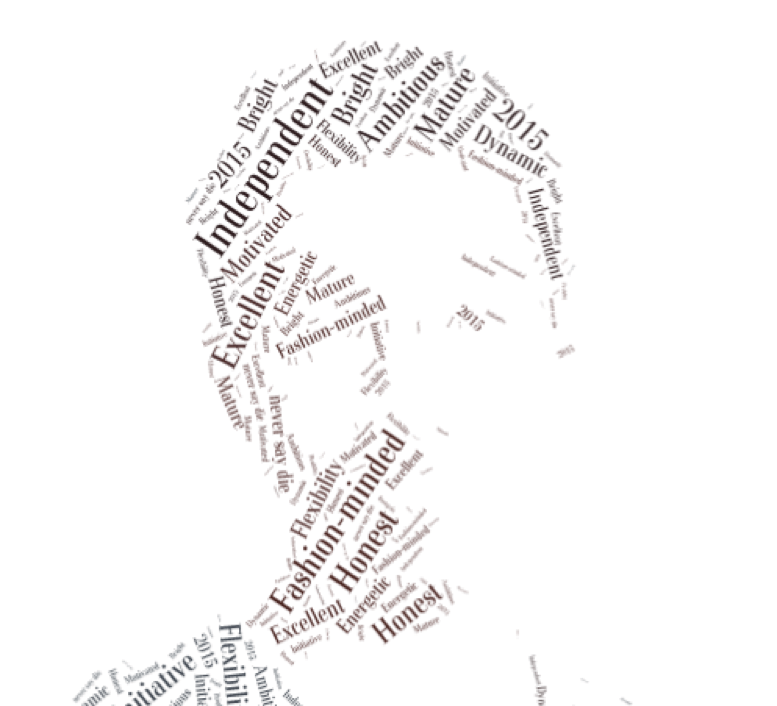 Wordle can be used to create just anything, from tutorials to election campaigns and lesson notes. Wordle is simple because it generates words based on the texts you provide, and it comes with added features that allow you create word clouds in different forms. To make use of this free tool, simply lo unto the website and click “create” and a new screen will appear with all necessary options. This is one of the best word cloud tool for the kids and beginners in general. It helps them discover their creative skills quickly, and it is very easy to use. This tool is also available on the internet for free and you can use it directly on the website, it must be noted that this tool has a very kid-friendly user interface. In order to make use of this tool, the minimum number of words you can input is three at a time, if you don’t, the tool may not work properly. The premium version of this word cloud tool comes with even more sophisticated features that will further enhance the usability of the program. One of the premium features you can find here a preloaded database of different figures you can use as a base or foundation for arranging and aligning your words. You can also upload your own base image upon which you can then align and arrange your words. Tagul word cloud is another top word cloud generator relied upon by millions of people all over the world. 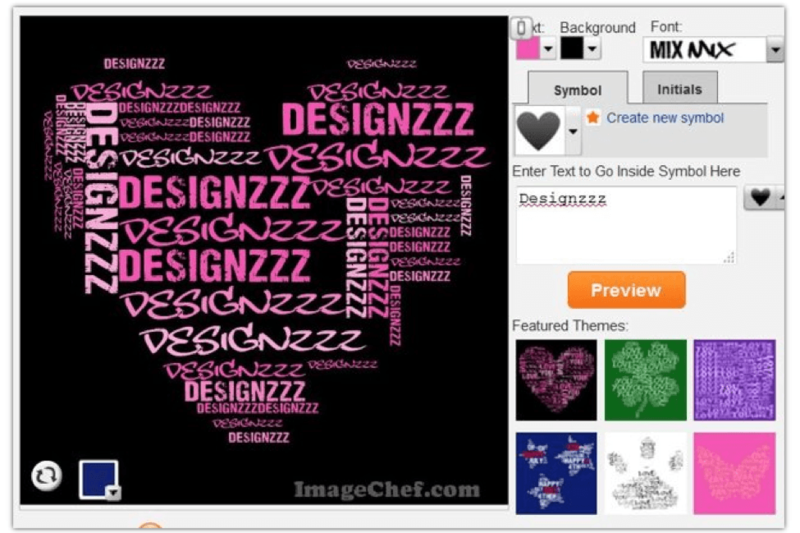 What makes this word cloud tool unique is that it allows you to upload your image and use it as the foundation or layout for your word cloud design. To use Tagul, you will have to sign up on the website and once you are signed in, you will receive a notification that contains a link that you are expected to click in order to start creating your own word cloud. You can make use of the sent URL as well as texts or even select the options provided and then click on “Generate”. You can also make changes in the appearance, colours, and fonts on the word cloud. This is a unique word cloud generator in the sense that you can use it to visualize the frequencies of certain words for any content, and you don’t have to sign up to make use of the tool. One other advantage of this tool is that you will get a clean cloud that will help you conduct well organized visual training .all you have to do is visit TagCrowd, then you can copy and paste texts or make use of a URL to upload a file in order to generate your word cloud. Once you have chosen all other options, you will have to adjust your options, for instance, you need to choose the language, as well as the minimum /maximum amount of each word that must be present in the word cloud. Once you have completed the whole thing, you can simply click on “Visualize tab” in order for your tag cloud to be generated. Simply click on “Save as” and then choose the format for which you want the piece of word cloud to be saved. Word Cloud Generator has numerous add-ons as well as quick-access features that allows you to use different emerging themes for different word cloud projects. It also helps you determine which best category your project can fit in, it comes with a Google doc add-on that allows you to integrate your word cloud projects into Google, and you also have access to control the number of words you can use .there is a feature that allows you to drop any word and make use of a word count table when necessary. Word cloud generator is quite simple in every way, it allows you to make use of filters and even import words from your computer or internet, thus you wouldn’t find it hard to locate the right words for your word cloud. Tag Cloud generator has been regarded as one of the easiest word cloud generators around because it makes use of an in-built HTML platform, and it is quite easy to use, assisting beginners to perform word cloud projects effectively in no time. 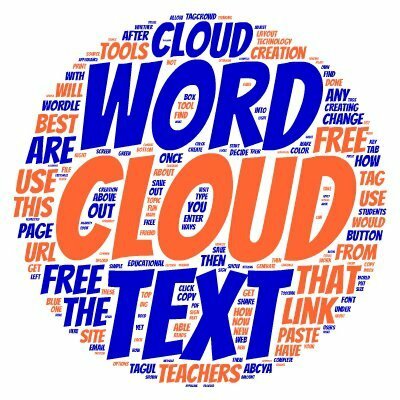 This is a completely free cloud generator that allows you create deluxe word cloud projects instantly. The HTML platform makes it easier for admin, teachers or parents to accept as many word cloud projects as they can and edit them. 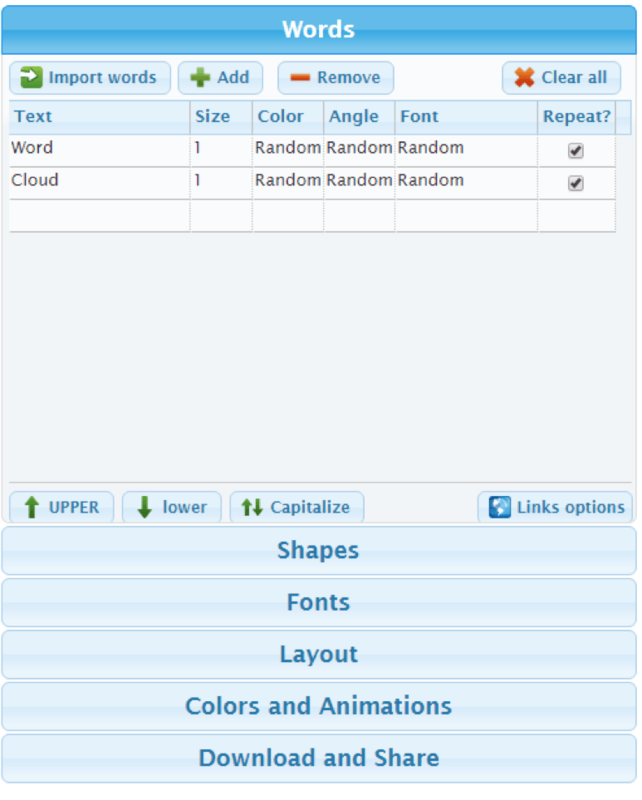 Tag cloud generator can also be used in creating word shapes, especially when the advanced form of the software is used. This word cloud generator may seem like an amateur tool, but at the end of a project it will give you an impressive result. If you want to change your Facebook, Twitter or Instagram traffic without wasting much time, or effort, you can rely on this tool for a fast result. Once issue here is that the tool normally leaves a watermark on the world cloud final result that is generated which some people may not like. If you don’t mind the little watermark, you can rely on this tool for an excellent result. 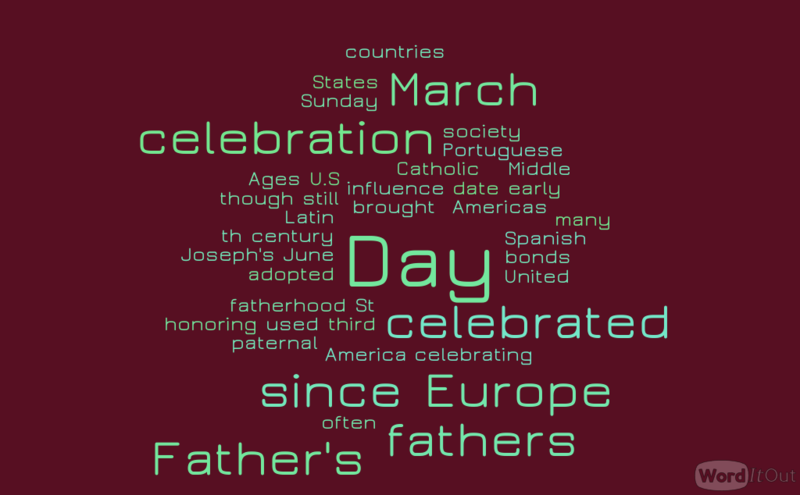 A personalized father’s day world cloud can be a perfect gift for the fathers especially when it is used in communicating one’s feelings. The steps behind this world cloud are easy, and to make it even easier, you can make use of a reputable world cloud software, most of these software work similarly. All you have to do is to download and install the software or app and then click on “Create” and this will take you to a new page. The next step is to choose the shape of your world cloud( take note that all choices, including shape, color, theme, font, orientation, and layout) of the world cloud are located on the left side of the software home page. Make sure you choose a world cloud shape that daddy will love to display all year round, for instance, you can use the shape of a snowman, or simply choose the shape of an handprint. Some women would prefer to make use of heart, tree or love shape because they seem to appear much nicer. If you prefer the classic vertical and horizontal world cloud shapes, you can check the bottom of the software for the button. Once you have decided the shape you want, simply click on it and the shape on your screen will automatically change. Next step is to choose the colour theme for your font and letters ( these are the colours in which your words will appear). As you click on the colours, the shape of the letters will automatically change to indicate what they will look like eventually. The software will display some rectangles and in each of them you will see how the words in your world cloud will look like, while the outer region of each rectangle will be the colour of the background. If you are simplistic in nature, you may choose the simple white and black colour themes, they look awesome too. Once the colour theme and shape has been chosen, your next step is to choose the font size of the letters. You may want to stick with 1-3 fonts and then click on the side box beside these fonts and you will have a preview of what the fonts will be. Once you have chosen the font, your next step is to choose how you will like the words to be aligned. To do this, you simply need to click on the “Orientation” button. You may have all the words to be vertical or horizontal or a mixture of both, and after the alignment of the words, the final step is to personalize the words. The software provide a feature referred to as “Loads”, located on the left side of the sidebar, then you will see a screen popping up where you can type all the words that you want in your cloud. Just before you create a father’s day world cloud for instance, you may want to ask him certain questions in order to make use of the right words in the cloud, these include; his nicknames, hobbies, favourite sports, what he is good at doing, favourite game, and many more. Once you are done, simply click the “Submit” button and the world cloud will appear. Step #1: Visit the website of the template (you don’t have to download any software as there are good online templates that help you create world cloud for free). You need to check if the website will work for your type of browser ( chrome, window explorer, safari or Firefox). The arrow on the left box should indicate the places to click in order to bring up the choices you need to make your world cloud choices. Considering the picture below, there are so many shapes you can choose these include the shapes of animals. Step #3: Once the shape has been chosen, next you can click on the “Colour” and these are the colours the words will end with. If you look at the image above, you will notice that the colour inside the inbox is different from outside, this is exactly what will happen as you write on the world map. You need to change the colour after you complete the writing of a word. Step #4: Choose the font. Once you have chosen the shape, and colour, your next step is to choose the font of your letters. For the best results you may want to practice with as many fonts as you like, considering the fact that you will have several different words on the world cloud. You should be creative with your fonts, for instance, you can choose a font with “all capitals” and the choose fonts that mixes capital letters with small letters. Some of the most interesting fonts you may consider include; Comical, Euphorigenic, and Boston Traffic. It’s going to look a whole lot nicer if you choose a font with no serifs and match it with another font with one serif. Now that you have sorted out the shape, colour, and font, you should now align the words on the world map. From the left side of the home page, simply click on the “Orientation” option. Aligning your words should make the world cloud more fun, you can use vertical or horizontal alignments or you can simply mix them together to create even more fun. Please take note that when you spin any of the features (font, theme, colour, shape or orientation), some of the choices you already made will be changed as well, hence you need to ensure that you preview your final world map before you hit the “Submit” button, and your world map will be automatically downloaded. Some software can allow you to save your world cloud in a flash drive, and then you can retrieve them and print them on T –shirts, cardboard papers, frame it or even make it into a card or cut it out and then add it into a 3D collage. The word cloud assignment template is a Parent and teacher assignment template guide that can be used to evaluate word cloud assignments. This template will simplify the way teachers and parents award mark or grade such assignments. This template guide can be downloaded directly online. Here are some tips for parents and teachers to make use of word cloud assignment templates more effectively. 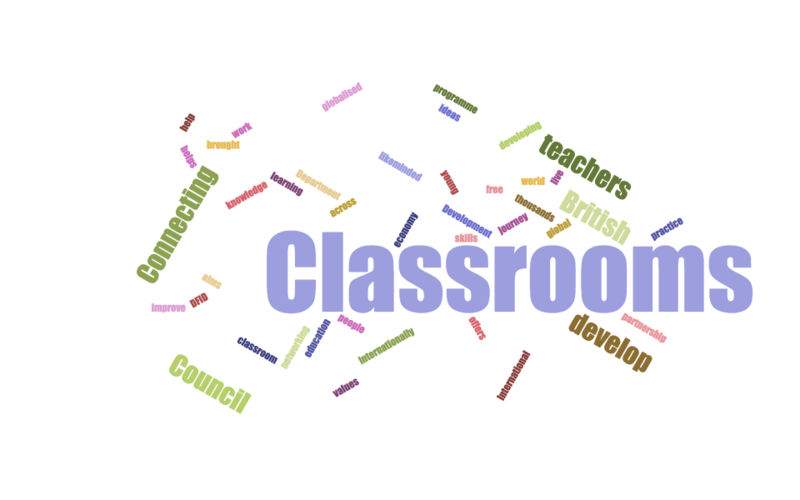 Make use of different colours and sizes to denote the levels of importance of different words within the word cloud, this will help your students to lean the significant ideas quickly and more effectively. Make use of word cloud to create your course outline instead of the conventional method of outlining courses. Make sure the key points of your lesson plans are highlighted with bold texts or vibrant colours and unique shapes, likewise, make use of unique fonts and characters to illustrate the learning goals and objectives of your course. Encourage your learners to make use word cloud that will reflect their learning goals and objectives. This will help them personalize their goals and experience hence they can become more effective in learning. You can access the leaner’s knowledge by encouraging them to create word cloud after each module, let them illustrate whatever they have learnt, and include highlights of the interesting and difficult parts. This will help you discover whether they are making use of the skills they are being taught. Facilitate peer-to-peer feedback as well as group collaboration by making word cloud illustrations part of class presentations. From the image below the Visual appearance comprises of three main sections, the word cloud size ( these could be small, medium and large), the Maximum number of words ( this could be 50 at most), and the font. The second part is the text processing option, this feature will allow you to decide whether you want to capitalize some or all the words, use or ignore stop words, and use or ignore numbers. You may also want to choose from the other options such as bold, Italic and shadow. At this point it will be important to encourage your students to practicalize with all options available and then settle for the ones with the most visual appeal. 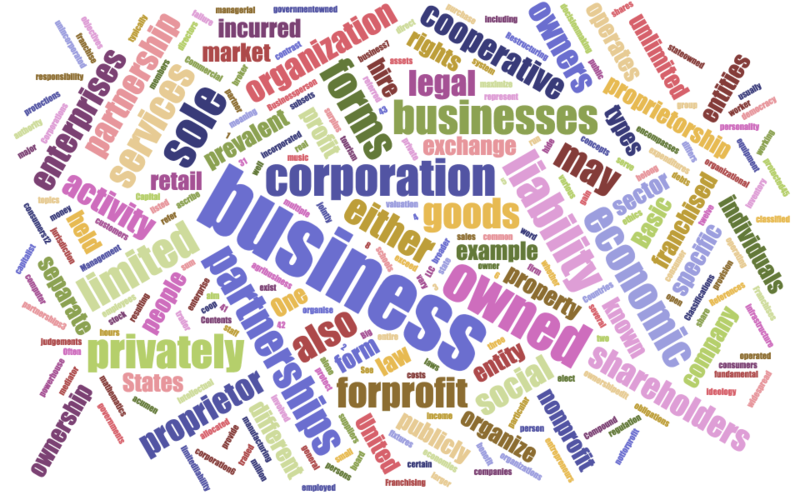 Take note of the Upper, lower and Capitalize options at the bottom of the template, these options can either be chosen during the development of the word cloud or after you have put all the words. Using all these features at the beginning may prolong the time for the completion of the word cloud, hence you may want to wait until the end to adjust all contents accordingly and save more time. From the top of the template ( just below the Word), you can see the options; Import words, add, remove and clear words. 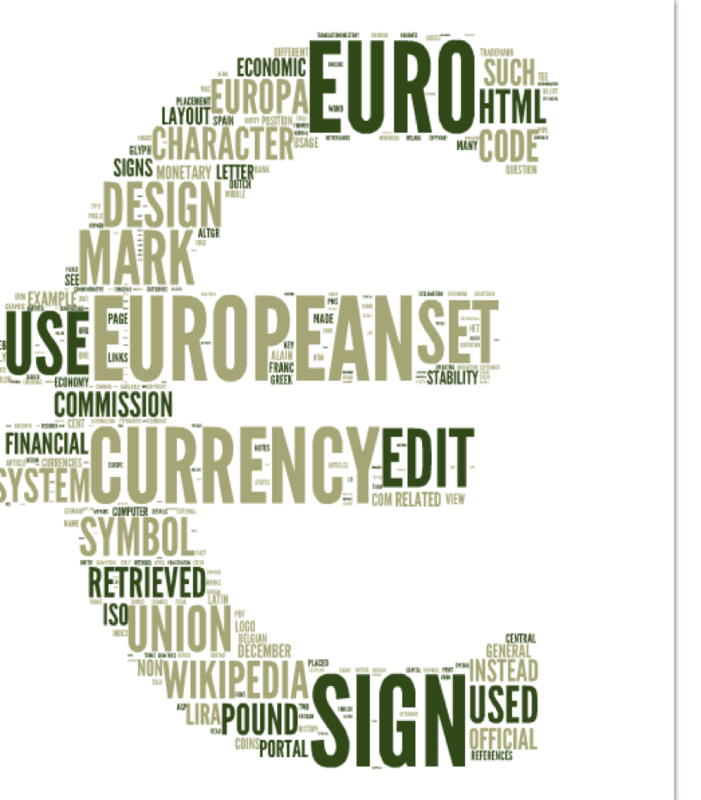 This template will allow you to import words from anywhere on your computer or from the internet (if you are connected), please take note that words imported will take the initial fonts, size and other features from the original source, hence they must be re-adjusted to fit your word cloud. All these features can help you reduce the number of times spent in choosing your words, and eliminate all unnecessary punctuation marks that can help save even more space. Now that you have a complete template for generating a word cloud, as a teacher, you may want to use this guide to help your students create their own word cloud, making use of every feature available from the template. You may use the template to award marks based on the number of features the students use( some students shy away from using certain features because they are not comfortable with such). From your evaluation of student word cloud assignments, you should be able to detect areas where they are having difficulties ( for instance, word filters can give some students problems), you can then work on how to train them to use such difficult features on the template. Though these are few differences between word shapes, word cloud, word splash and word collage. All of them can be used to illustrate however the main differences are the extra contents added to explain further or illustrate more of the contents that are being explained on the word document. For instance, word cloud is basically the alignment of several words in one specific image or confinement, while the words can come in different colour, shapes, and arrangement( vertical or horizontal). Word shapes on the other hand come with different shapes of images and items with fewer words. In order words, word shapes are mostly images, used in describing a content. Word shapes are mostly used when describing the geographical components such as landmarks, or when illustrating some contents such as animals, books, and toys to children. 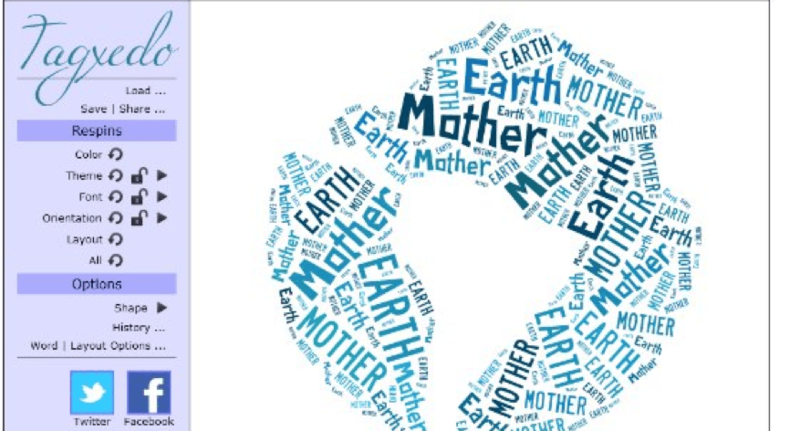 Just like word cloud, word shape is also specific in nature, all the words used to form the shape are closely related to the shape being formed, however, in some cases, one may use irrelevant words that will still connect other words within the shape. 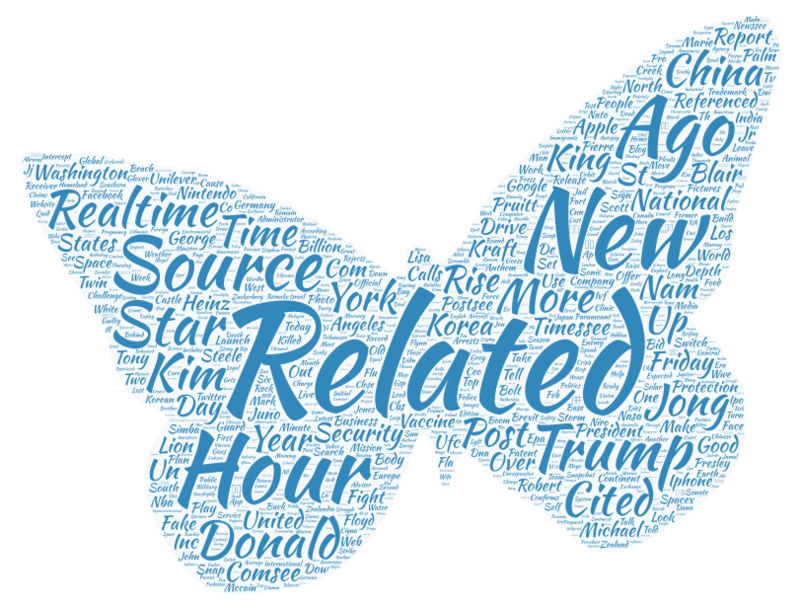 Word splash can be described as a collection of concepts and terms related to a target topic, and such words are usually placed randomly around the heading (main topic). When a word splash is used, a teacher may ask his or her pupils to describe the relationship between the word splash contents and the main topic. An example of a word splash is when the main topic is education and the similar or closely related words such as; educator, library and so on, are splash all around the main topic. 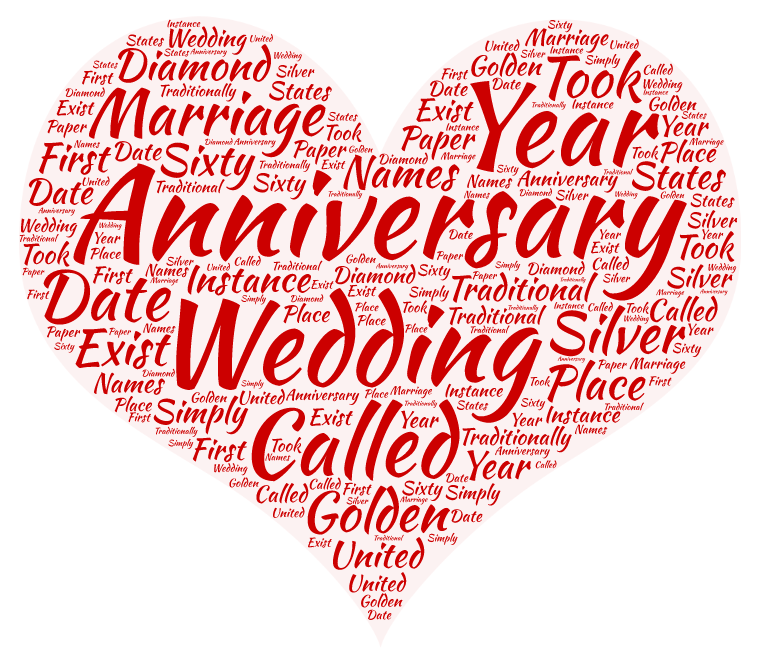 Word collage is a form of artistic expression but it is still a form of word cloud. They are custom word arts that comprises of several words used in creating an image. 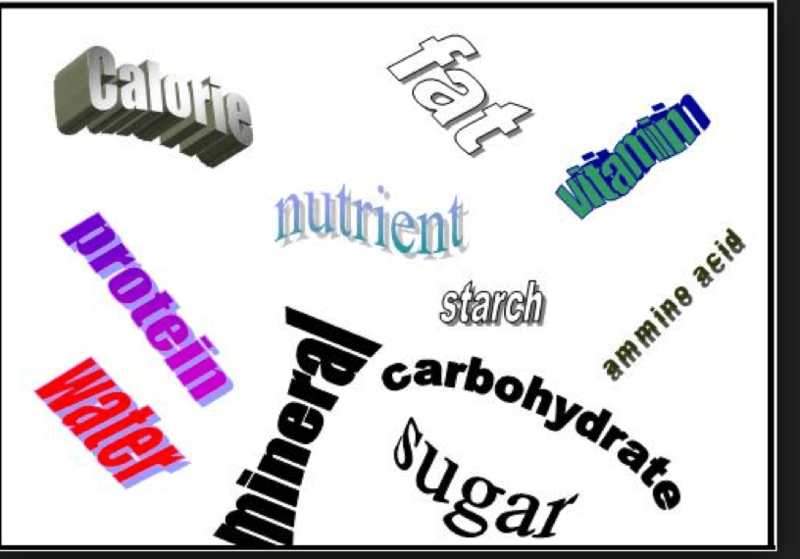 A word collage is different from word shape in the sense that a word shape is more relevant to the image in the background, however, a word collage may contain words that may not be relevant to the image being formed. A word collage can help one to become more creative when creating word clouds, a collage will normally require more features beyond the vertical and horizontal alignment features found in ordinary word clouds, and the reason being that you may have to arrange some words in circular or irregular alignments. 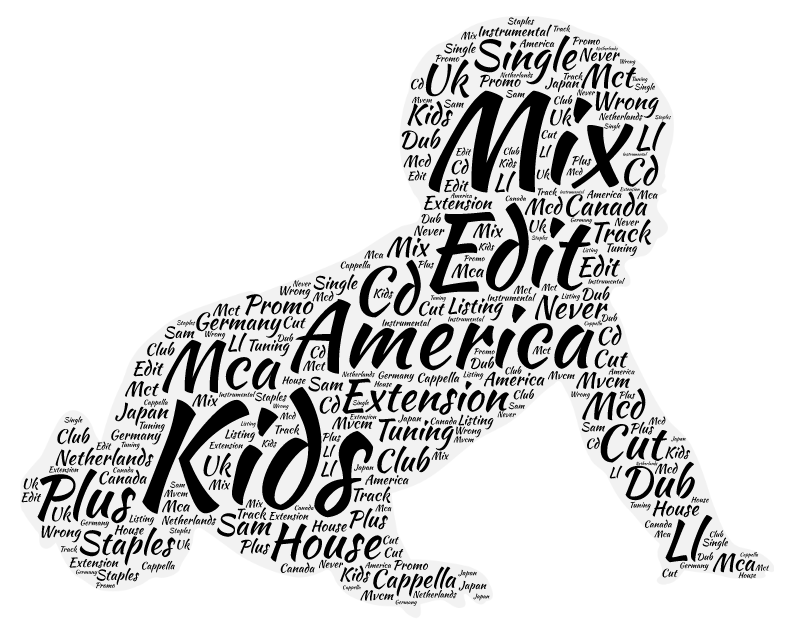 Despite their differences, word shapes, word splash, word collage and word cloud can be infused into each other to create something more unique and more acceptable. A teacher can make use of these four word generator to make create study materials. Conda install –c https://conda.Anaconda.org amueller wordcloud. In order to Install the package, you can make use of the code; python setup .py install. Just in case you are having issues with the pip installation, line ,you can simply make use of the .whl file, which can be located at www.lfd.uci.edu/~gohlke/pythonlibs/#wordcloud. You can make use of the “end” event, when your designed layout has completed the placement of all words. The “start” layout algorithm can help you initialize the numerous layout attributes on your word objects, and this will start placing the words according to their sizes( the largest words are placed first). The placement will also start from the center of the rectangular word cloud region, and each of the placed words will be tested for possible collisions with already placed words, if collision is detected, the command line will simply place the word in another position within the spiral. 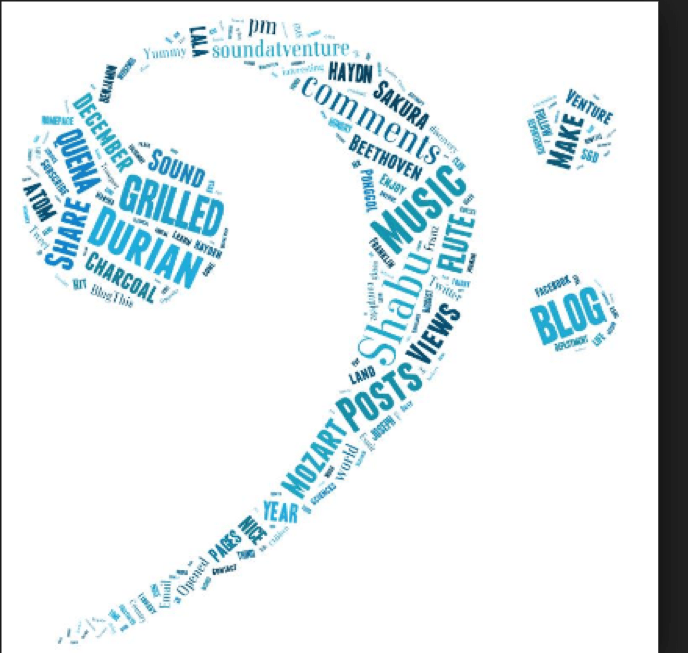 Take note of the fact that if a word cannot be placed on any position in the spiral, then it may not be included in the final word cloud layout. To set the time interval you will need to make use of set intervals for your layout, this will help you avoid locking up your browser’s event loop. When you specify this command, it will be the maximum amount of time that can be spent, otherwise, the time can be set at infinity. The command used to set time in word cloud is “#timeInterval”. #font will have to be specified in the layout, and this command will set the font accessor function and that indicates the font face for each word. If the font is not specified then it will return to the default fonts in the layout which is usually “serif”. #fontstyle is the command that must be specified in order to indicate the font style of each word, if not specified the default font style will be in place. The font size is the numerical value of each word. #fontWeight is the command used in assigning a weight to each word in the layout. you can replace the function here with a constant. you need to replace the function with a constant here. #Padding indicates the numerical padding for each word, if this is not specified then the default padding will be effective. 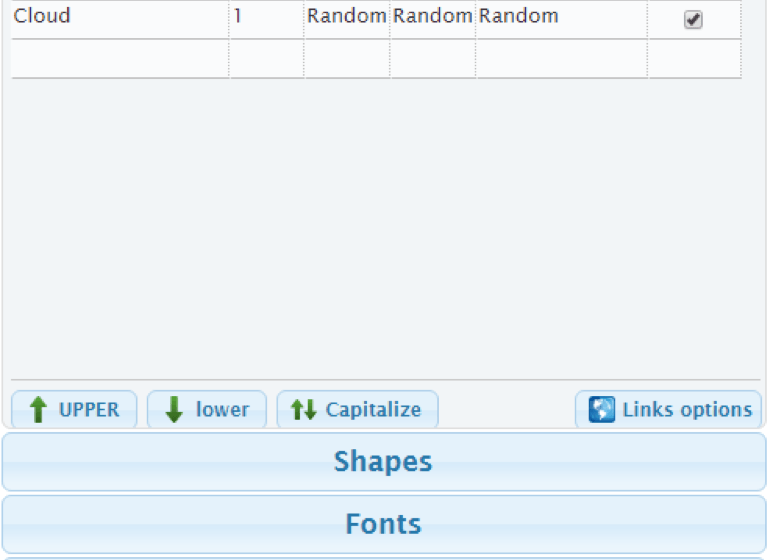 #random is the command word that will set the internal random number generator that can be used in setting the initial position for each word in the word cloud layout. This command also sets the clockwise and anticlockwise direction of the spiral for each word, and it will normally come within the 0, 1 range. There are so many online apps or tools you can use in creating a word cloud or world map, most of these tools give you templates or Editors that will make it easier. 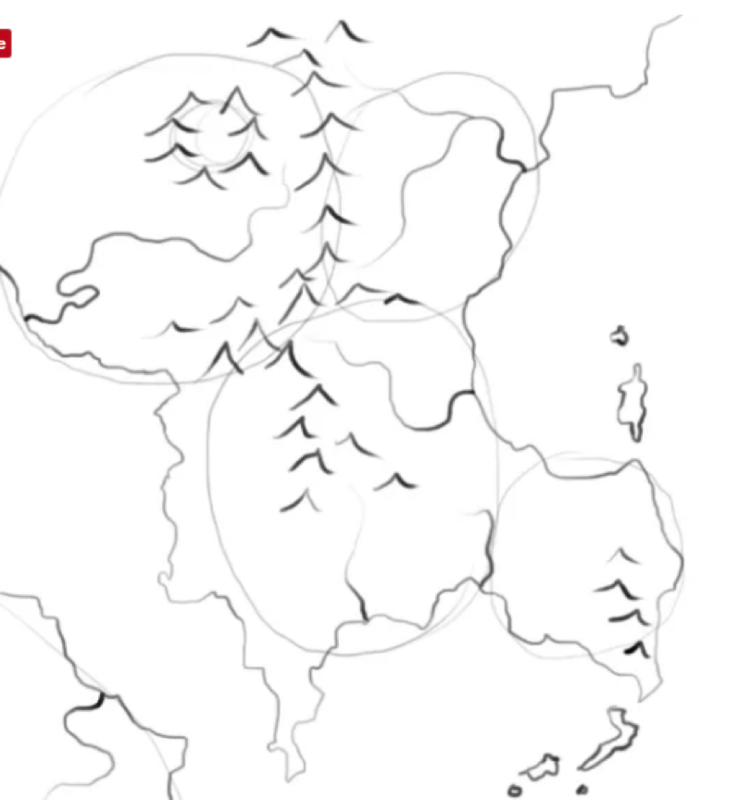 You can also create your world map by hand or sketches and you must keep in mind that such a map is not intended to be pretty, even if the posters of middle earth that you see online look beautiful, building a word map is a completely different thing, you need to break things up here. When you are building a word cloud, remember that you are building a functional map, likewise, when building a map, keep in mind you have to build several maps one after the other untilthey form a single map. Building a world map is like creating a visual notepad, hence you will be crossing things out and erasing stuff, just the way you edit your notes until you have a final manuscript. You don’t need a photoshop; just a pad of scratch paper with your drawing pencil should be enough. First of all, you must first think about the world map you want to build, this should definitely be a smaller area than the planet from which you want to create the map. Since you are trying to tell a story with your map, you may want to focus on the limited area, you definitely have a verse land area to explore. Step #2: Starts by creating a note about the relationships between the countries, states and power centers that you want to emphasize in the world map. For instance, are the countries on your map at war or are they close allies of simply fight over resources? Once you have noted the relationship between the countries or regions, you need to take note of their identical structures, for instance; are they famous for their expansive grain fields? Do they have large armies or natural defenses such as border walls? You need to focus on terrains at this point; the hills, mountains, major routes, sea, land and air terrains. Take note of the coastal lines, mountain ranges, and some other key features that will be useful later. 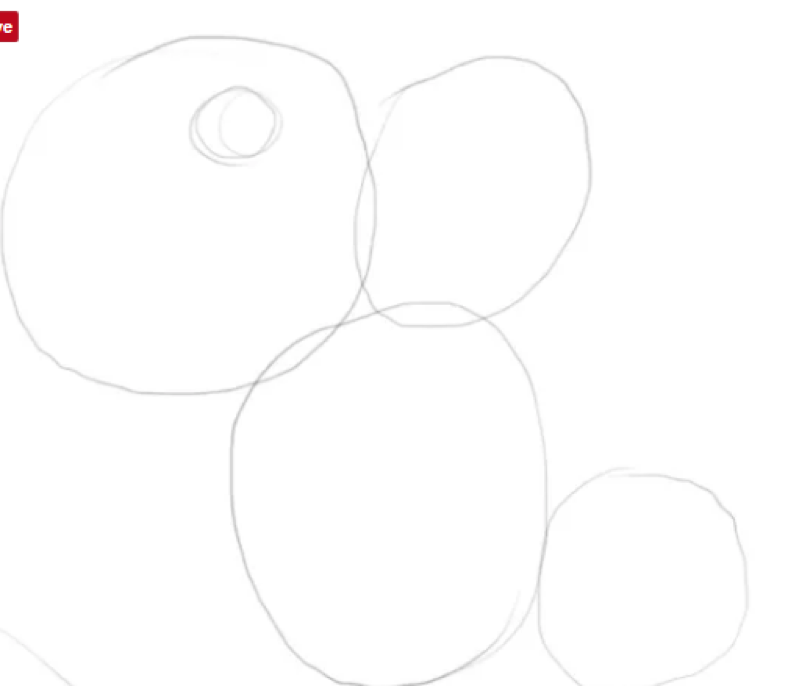 Step #3: Create some rough shapes of the countries or continents- This is the time to start your world map, simply grab your pencil and your stacks of plain white papers and faintly draw circles around where the nations are located. Keep in mind that Nations that are allies or at war should be drawn closer, while the ones that rarely connect should be drawn further away, likewise countries that have some insurmountable barriers between them must be drawn farther away. You may think that drawing some circles on a map are pretty easy but at this stage you may have to perform few tries to get the relationships between the countries or regions right. The circles you have drawn earlier are not really maps, you need to start drawing the physical features such as coastlines. Think about the countries that require coastal lines and the ones that need to be land-locked. Try as much as possible to avoid straight lines but let your pen wander. Keep in mind that coastal lines must be jagged and broken. Step #5: Sketch the mountains – keep in mind that inverted triangles work best when drawing the mountains, don’t make them pretty. Keep in mind that mountainous structures will often tend to form ridges, hence you must avoid being tempted to fill in the entire blocks of lands with mountains, instead create them in wavy lines. Mountains will usually follow in the edges of the coastlines on maps, and they tend to create natural boundaries between countries while creating obstacles for soldiers. 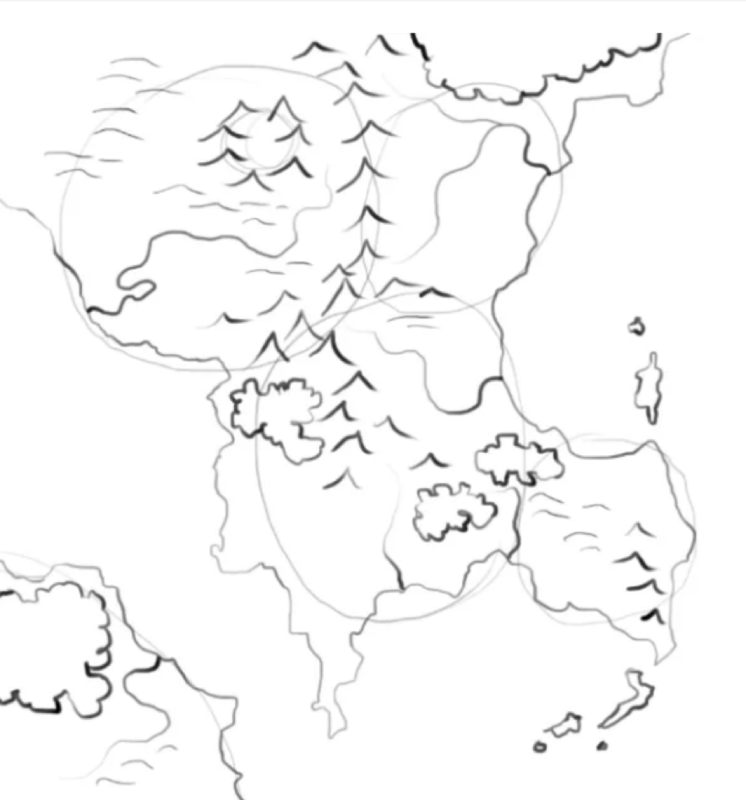 If you have to create a desert in one region and a jungle in another area, then you should draw a mountain range in-between them. Now you need to draw the rivers, take note of the fact that during rainfalls, water runs down the valleys and into the seas, and the rivers will always flow to the lowest points. This simply means that rivers will not brand as they continue to flow into the sea, they only join to the sea. For this reason, no river should go from one coast to another, and also remember that no lakes will have two river flowing into sea, only one lowest point will allow river to flow out. 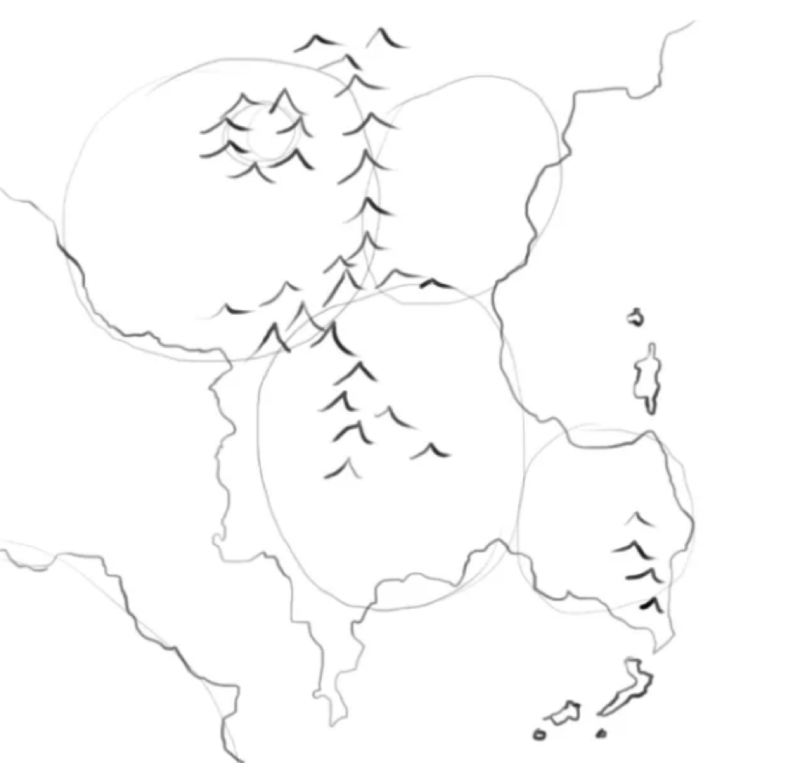 When drawing rivers on the map, think about them as a tree where there is only one tree trunk (the sea), with numerous branches at the top (mountain). Rivers are quite important in many ways, you can hardly find a river mouth I the world without a town nearby, likewise, the greatest cities in the world usually lie close to the river. 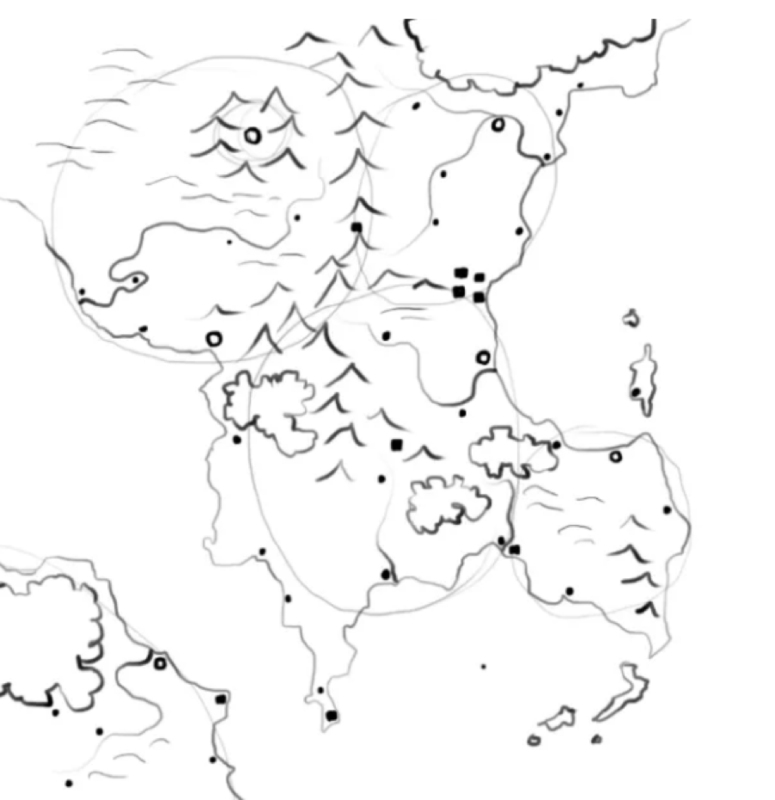 When drawing your map you must allow decent sizes of rivers to be close to the main cities and towns, rivers and walls are usually used by nations and cities to fence off aggressors or enemies. Step #7: Add your hills, and forests wherever they dim fit. Most of your hills should be added close to the mountain edges, then you can create small forests and check how they fit together. Always keep in mind that you can always start afresh when you don’t like what you see, you will have to spend more time and more sheets of papers. If you are comfortable with the terrains you have created, simply go over the pencil lines and then erase the lines (including the boundaries separating the countries). You can simply scan or photocopy your map t this stage. At this point, there are probably some details you have omitted, for instances, the resources being protected and hidden in certain regions and the lands that need to be annexed- you can make use of coloured pencil to sketch the different countries you want to emphasize or discuss via your world map. At this point you may also add your cities but keep in mind that cities are where they are located for some reasons, hence they must have food, water, shelter, and security, likewise trade and commerce are conducted in and around such. You may also locate capital cities in places that are well defended, please keep in mind you may have to do a lot of editing at this stage, and it is possible you re-direct streams and rivers. This is just an illustration of how a world map should be for physical geographical structures. There are world maps for different purposes. 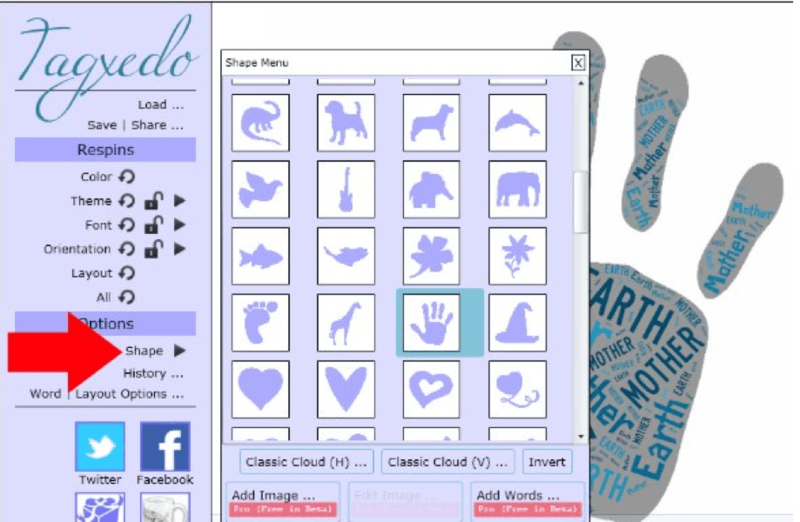 You can also create world clouds or maps for activities or celebrations such as Father’s and Mother’s days, anniversaries, Kids rooms, and General arts. There are no limit to what you can use world maps for.